From a bevy of Birkins to walls of roses and blinged-out baubles, the Kardashian fam is known for gifting each other some over-the-top presents for the holidays. So when Kris Jenner joked to her gal palJennifer Lawrence that she wanted a Porsche for Christmas, the Oscar winner came up with the cleverest of ideas: a battery powered Porsche for kids. On Saturday, the good-spirited grandmother took to her Instagram to write about the hilarious surprise from the self-proclaimed Keeping Up With the Kardashians superfan. 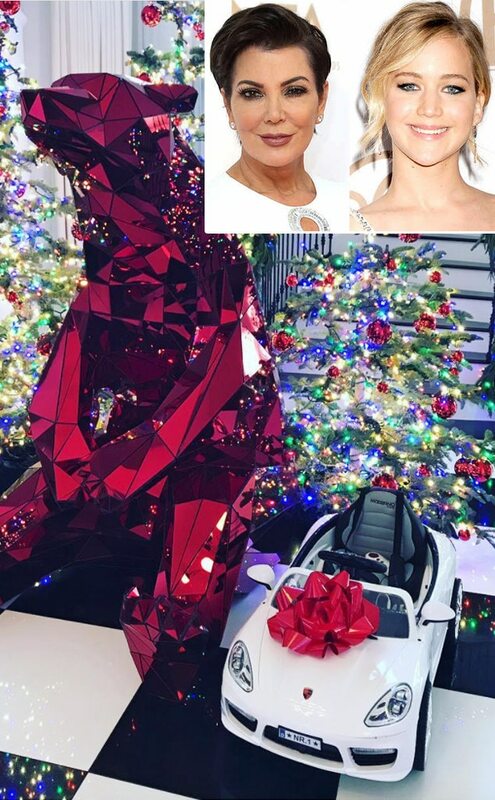 The photo shows Jenner’s rainbow-themed Christmas decorations next to the 2018 Porsche Boxster Style 12V Ride-On-Car, which comes with battery powered wheels, a dining table, leather Seat and LED Lights. The car runs at three different speeds, has a sound system and a Bluetooth remote control. We’d be excited too if we were Kris—this toy car is sick! While the toy car certainly doesn’t cost as much as the real thing, which would run you around $ 84K for the fully loaded Boxster, the Kiddie Sports Roadster will set you back $ 259.99. The toy car is designed for riders aged 2-5, so KJ probably won’t be joyriding any time soon (unless a time machine gets invented). But we have a feeling that Reign, Mason and Saint might love this lil’ Porsche! As for how J.Law and Mama J became buds, well Kris recently star joined Steve Harvey on STEVE and dished about her bond with the Mother! actress…and that time she got naked in her closet! And that’s why we love her! Don’t miss Keeping Up With the Kardashians when it returns Sunday, Jan. 7 at 9 p.m.!